7th June 2007, Beira-Rio Stadium, in Porto Alegre Brazil. Sporting Club Internacional completed the second leg of their triple crown by beating Pachucca 4-0 in the final of the Recoba Scudamericana. In fairness it was a poor showing by Pachucca and when the third goal was scored, it was summed up by a fan that was heard saying “Oh great, even a duck can score against us!” (In Portugese). Of course this duck was not just your average Mallard, it was in fact Alexandre Rodrigues da Silva, better known as Alexandre Pato. The name comes from Pato Blanco where he grew up, which translates into White Duck in English. 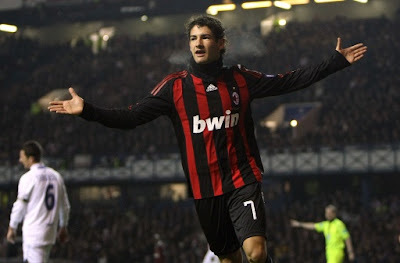 After scoring the third and setting up the first two goals Pato was on top of the world. It was the game that changed him from being a wonderkid with potential, to a superstar at the age of 17, and a legend in Brazilian league football.